Retirement comes with a range of positive and negative possibilities. But you have the power to ensure that your golden years remain golden. Things may not necessarily happen as we anticipate them, thus planning is an effort to prepare for any possibility. Whether your retirement is a few decades or a few months away, planning for the same is very important. A well planned retirement minimizes retirement risks. Majority of retirees depend on fixed income but taxes can erode what they receive. There are various tax relief options that can be opted in order to maximize retirement benefits. Investment in immediate annuities will offer tax-free income. 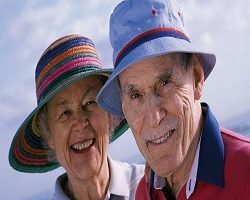 An annuity is an investment that pays you a fixed sum of money each year. You can buy an annuity with a lump sum of money or by making periodic payments over your career. 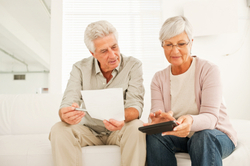 Annuities are typically offered by insurance companies as they are an insurance-like product. If you buy one, you will have enough money put aside to cater to retirement needs. Over a period of time, money loses value due to inflation and taxation. The ever increasing cost of living deteriorates real value of your retirement savings and income. Fixed retirement income comes under threat because its real value is bound to decrease as you spend more years in retirement. Thus, diversifying portfolio into retirement will enable you to preserve the real value of your retirement savings. You should have your money spread out between stocks, bonds, a savings account, checking account with interest, 401-k, IRA, and CDs. This allows security for your retirement portfolio, and also offers several places where you can invest your income. If your income stream during retirement is only 30 percent of your pre-retirement income, you have to reduce your expenses and adjust to a lower standard of living. There are ways one can minimize necessary expenses and eliminate unnecessary ones. For instance, relocate to regions where cost of living is low, opt for public transport, cut down entertainment expenses, etc. In your first year of retirement, try not to spend more than 4 percent of your retirement fund. Your withdrawal from your retirement fund thereafter should be restricted to an average of 5 percent per annum. No matter how small the amount, any savings you continue to make will help in latter stages. In the same vein as financial planning that does not end at retirement savings should not cease either. Even if your income seems low, there is no reason why it cannot be stretched. Your standard of living or expenses can be adjusted to suit retirement income and savings. The key to stretching retirement savings is setting priorities and living within finances.